Vibrant colors for adults and kids, including heel straps. 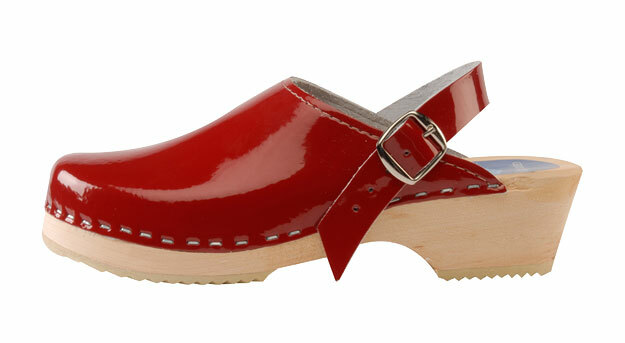 Cranberry Color: These clogs are very stylish and chic! Made with genuine patent leather, with a moveable heel strap for extra support for children and in adults sizes.